We'll play two dates in the UK early 2019 with Turia from the Netherlands. First stop is the Black Heart in Camden Town, London and is presented by Becoming The Forest, Cult Never Dies and Zero Tolerance Magazine. Local band: Absinthropy. The day after we'll hit Nottingham and will share the stage with Sump and Lindow Moss. Thanks to Babylon Doom Cult Records, our debut 'De Speenzavlinge', got its vinyl version 7 years after the original release by At War With False Noise and Universal Tongue. Order your vinyl version here. Merch line updated with shirts, hoodie & releases! Check below the clip for 'Regardez ses yeux - III', from our upcoming album 'Lede'. Alkerdeel playing Roadburn for the 2nd time! 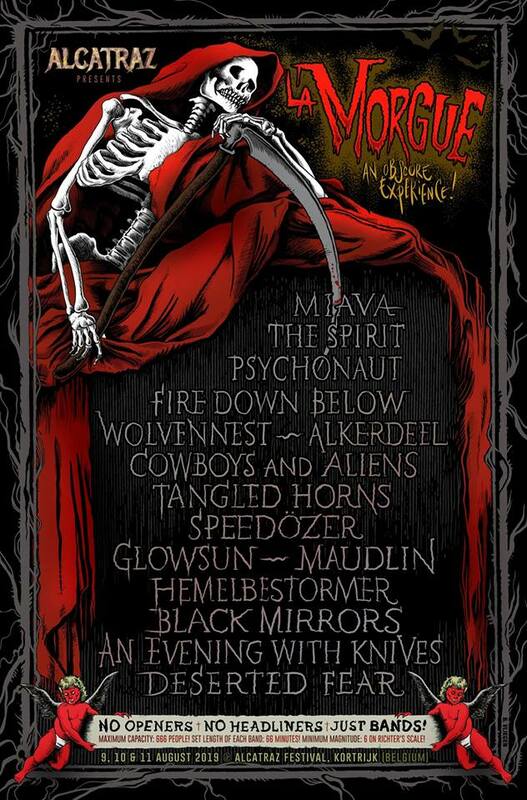 We're very honored the play the amazing Roadburn Festival on friday April 15th. The mighty Gnaw Their Tongues will make a guest appearance during our set. Clean your spikes and leather! New album 'Lede' coming up in 2016! Our new album, 'Lede' will be released early 2016 through Consouling Sounds. More news about the album coming soon. Alkerdeel/Nihill split top list 2014 Cvlt Nation! 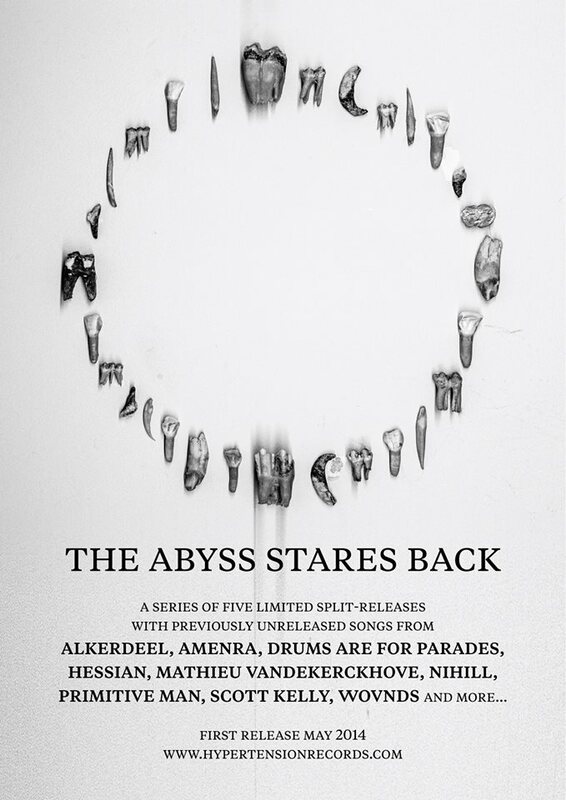 'The Abyss Stares Back' #4, our split with the mighty Nihill from Holland, is out now through Hypertension Records. You may order the vinyl through them, during gigs or just via our merch page. Alkerdeel & Gnaw Their Tongues exclusive gig at IBM Brussels! On May 3th, we'll play an exclusive set together with Gnaw Their Tongues: Dyodyo Asema, Du Levande and some more at IBM, Ancienne Belgique (Brussels). IBM #3 focuses on the dutch and french BM scene. Two other amazing acts are invited: Aluk Todolo (occult kraut from Paris) and NIHILL from Holland that will play their first gig after their amazing set last year at Roadburn Festival! Find here three other evenings in the serie of IBM.